I’m currently pregnant and an attorney , and am looking for some advice on when to notify my clients. I found lots of advice, on this site and others, about when to notify my office, and that went fine, but I haven’t seen much advice on how to notify clients. My gut tells me I should wait until pretty close to my due date, but how close is close? 2 weeks? 2 months? Thanks! if it’s a huge client you work with who you haven’t heard from in a while, I don’t think it’s unreasonable to check in with them ahead of time by setting up a lunch around Month 6 or 7. Look at it as face time and networking — something you should be trying to do as much as possible now because networking is going to be much harder once the baby arrives. 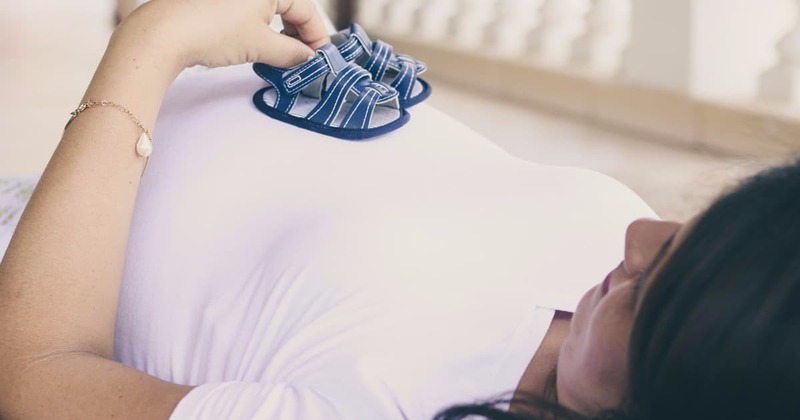 In addition to announcing your pregnancy to your clients, this is also customer service — you can brainstorm at lunch about what possible issues they may face for the month or two before your due date, as well as during the time you expect to be on leave — and decide together what can be done ahead of time, whether by outsourcing, rescheduling, bringing another person at your company up to speed, or more. Setting up such a lunch in Month 6 or 7 gives you a lot of advantages — a) second trimester is golden! you should be past the first trimester exhaustion but not yet at the “I’m-waddling-and-exhausted-just-get-this-thing-out-of-me” stage of pregnancy you’re going to be in by Month 8 or 9, and b) it gives you time to actually be proactive and get stuff done, make introductions, get people up to speed in a leisurely, professional way. 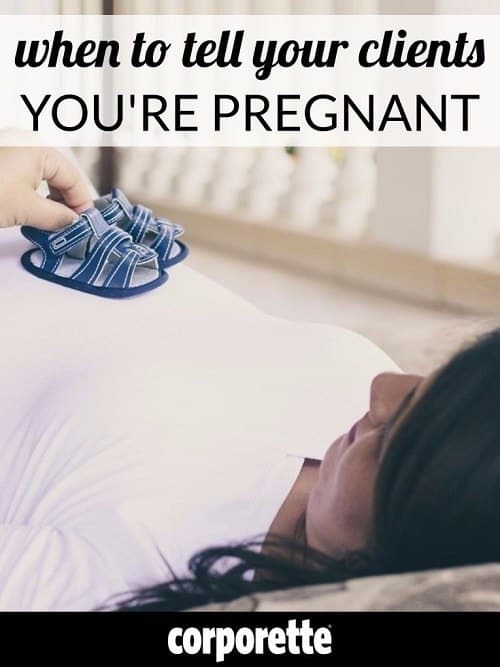 If this is your first pregnancy it is difficult to overstate how hugely uncomfortable you are likely to be by month 9, and how reactive/crazy rushed you’re going to be to get everything handed off before the kiddo decides to grace you with his or her presence. Don’t save anything for that time that you don’t have to! if you only talk to a client rarely / when something comes up, my default would probably be not to say anything and just let them find out via your maternity leave email. There are two important caveats to that: the first is that you know your clients the best, as well as their personalities — if someone needs more handholding you may want to tell them ahead of time, perhaps by setting up a lunch or call similar to our above suggestion for the “huge client.” The second caveat is that if I were to take this tactic of not announcing to some clients, I would make absolutely sure that my client was taken care of even if I was on maternity leave. This might look like checking your emails often during maternity leave so you can respond in person and forward to the correct person to handle it, or it might look like appointing one person to handle your clients and then checking in with that person on a weekly or biweekly basis to see if anything has come up. Readers, what’s your advice on when to tell your clients you’re pregnant? For those of you who are clients — when would you want to be told? For those of you who are moms with clients, when did you tell? Psst: Curious for more advice on how to have a great pregnancy at the office? Check out our archives here. For more on working motherhood in general, including postpartum issues, work/life balance, and more, please check out our blog for working moms, CorporetteMoms! Any good resources/ advice/tips for an absolute beginner gardener on a budget? … which kind of gardening? Yay Kat! I think the OP is trying to figure out what kind of gardening she can do, and the expenses associated therewith — what kind of expenses are deductiable if she gardens, etc. My dad bought a whole new set of lawn tools, but they are NOT deductiable b/c he is NOT in the business of gardening. If on the other hand, he was a professional gardener, he told me he COULD deduct the costs of the tools. If the OP is on a budget, Dad thinks she should only buy a few tools, but only those that are absolutely necessary, and of a high quality that will not break down. I hope this helps! YAY!!! Often your county sanitation location has compost that is inexpensive, if not free in smaller quantities. Ours also gives away 1 compost container per household so you can create your own with plant-based waste (veggie & fruit scraps/peels, lawn clippings, leaves – stick to that and there will be no issues), which will get you started on your own compost, if you have space to do this. Locally our “Cooperative Extension” agency runs 4-H and some Master Gardener programs, which are helpful. 4-H (and FFA) have fairs in the summer, which won’t help you now, but they encourage gardening and can help with connecting you to people who answer questions. You will want to have a good sense of how much sunlight and shade you have in the gardening space over the course of a day. This is a decent time of year to figure that out as the tree canopy is leafy enough to show you where the shade is. Expect that the North side of any tall, big thing (house, shed, etc) will have a lot of shade. Your local librarian can help with books to figure out what makes sense for what you want to do. Flowers? Containers? Vegetables? Fruit Trees? There is also a fair chance that some gardening group meets at the library. My dad taught me a lot about gardening when I was a kid. He subscribed to Organic Gardening, which might be a good subscription and online resource. My mom got Fine Gardening, which we both call “Gardening P0rn” Great pictures, informative articles, which are read in under an hour, cover to cover, but we don’t have a crew to supplement our efforts, though retirement has given her more time, so she has expanded. I need a little more background here – are you a partner at a big form? A solo? An associate at a firm? In-house? As an associate, I would have mentioned it to repeat clients around month 5 or 6 after getting the partner’s guidance. There was enough camaraderie on calls (how are you, any travels planned, that sort of thing) that it wouldn’t have felt abrupt to say so! For clients who you work with regularly (or any client), make sure you already know who will be working with them when you’re out. For the most part all of my regular clients were happy for me and we discussed maternity leave coverage closer to my due date, but a few were concerned when they found out how long I’d be out (understandably!). I signed 2 new to the firm clients while 4 mo. pregnant. I told the client, introduced them to the people who would be covering for me, and assured them I was just a cell phone call away. It went well with both clients. As for my other clients I worked directly with, I called them, told them and told them when I was anticipating leaving, when I’d be back, who was handling, what I expected to happen to their cases during the 12 weeks I was out, how to reach me or my co-workers during emergencies and gave them a status update. I then sent follow up emails with contact information for everyone and a brief case status update. All I got back was congratulations. For clients who didn’t directly interface with me, I didn’t tell them. The shareholder with the relationship made that decision. As far as timing, told clients around 7 months pregnant. At that time, I had a good guess as to what the next 6 months of their lawsuits would look like, who was covering what, better idea when I’d be out, etc. In other words, I had a plan and I sold them the plan. Gone through this process twice. I’ve never found clients to be anything other than happy for me. And some even sent the new baby gifts!